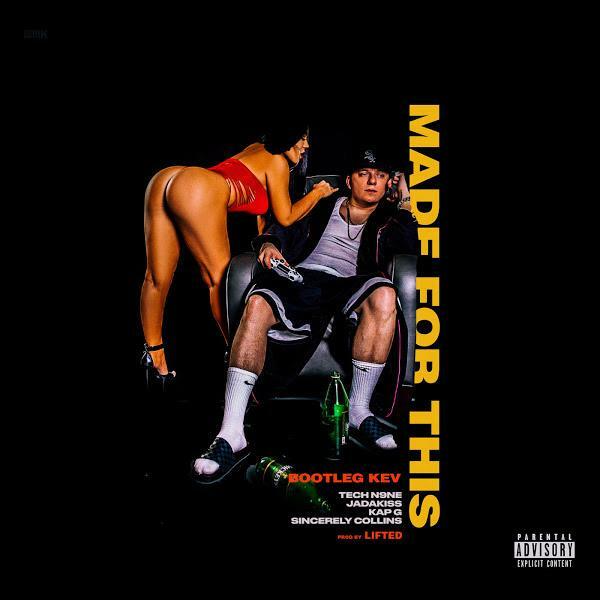 Home>New Songs>Bootleg Kev Songs> Bootleg Kev Grabs Tech N9ne, Jadakiss, & Kap G For "Made For This"
Bootleg Kev has taken a moment to step away from his radio personality duties to bring hip-hop fans a lyrical masterpiece. "Made For This" may begin like many other radio/club bangers, because the autotuned chorus and monstrous instrumental make it seem bland at first. But Kap G, Jadakiss, Sincerely Collins, and Tech N9ne convert what would have been just another turn-up record into a true hit record. Jadakiss steps into the second verse of the track with his legendary veteran confidence, but it's Tech N9ne who really bodies the instrumental. Produced by Lifted, the beat is almost tailored fit for Tech's spiraling flow. SONGS Bootleg Kev Grabs Tech N9ne, Jadakiss, & Kap G For "Made For This"